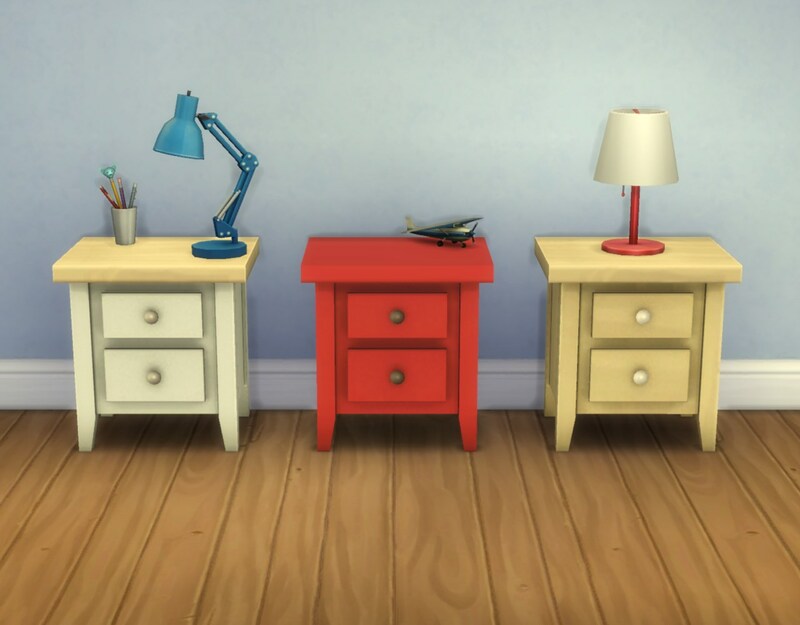 A little nightstand (vulgo end table) that matches the Boring Dresser from here as well as this Boring Endtable and this Boring Desk, in the same 24 colour options as those. 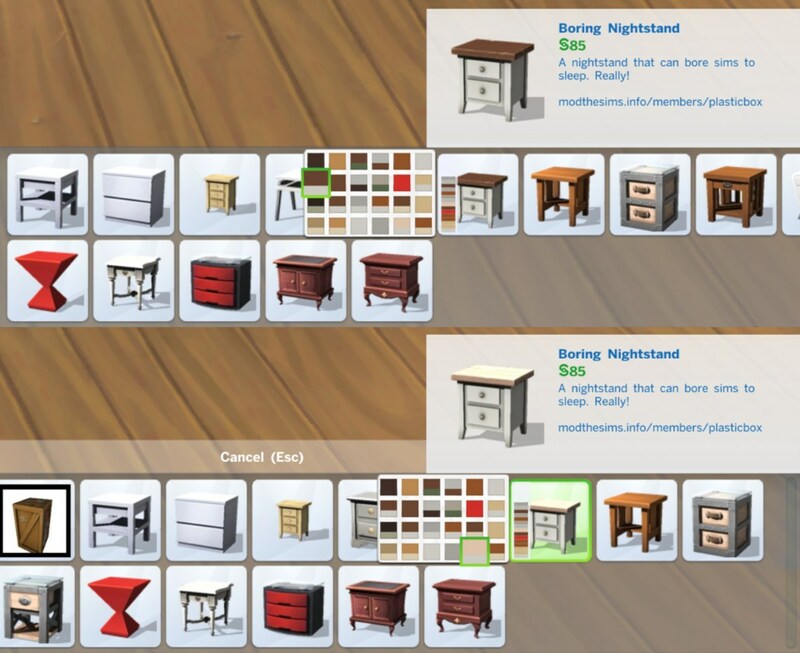 They're all based on something from Maxis, including the speculars, so they can be mixed and matched with existing stuff. 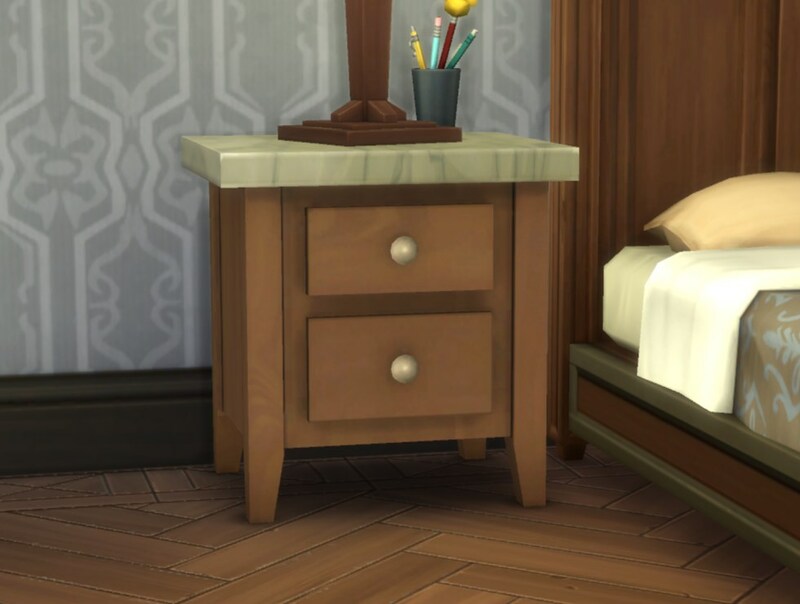 Note that you need the dresser for this to work -- it contains all the textures! 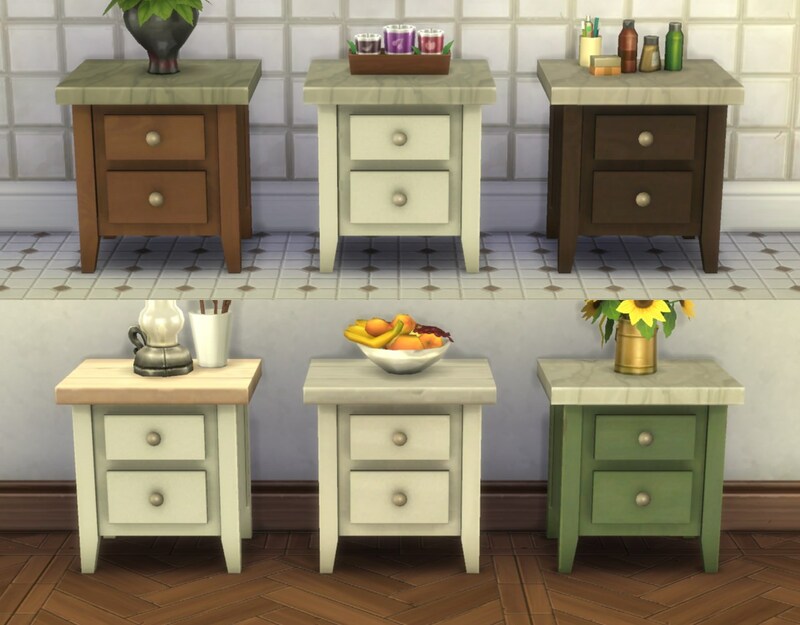 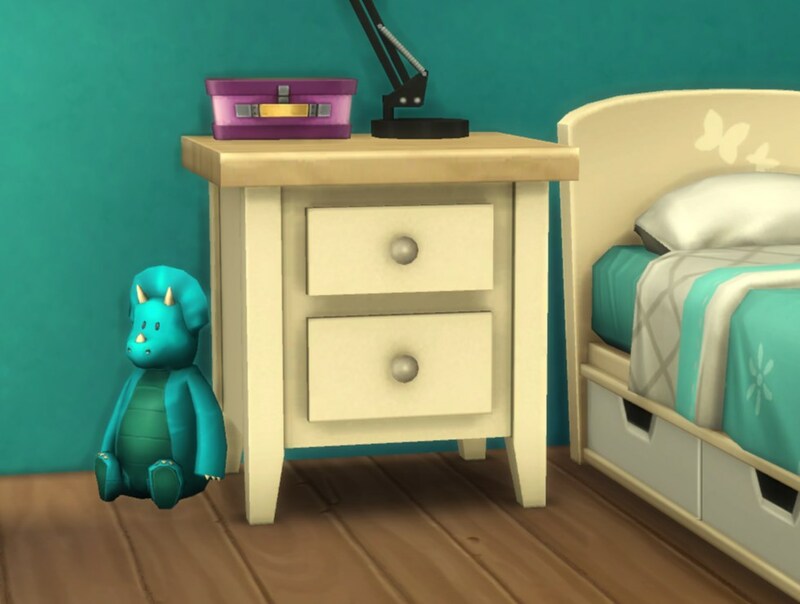 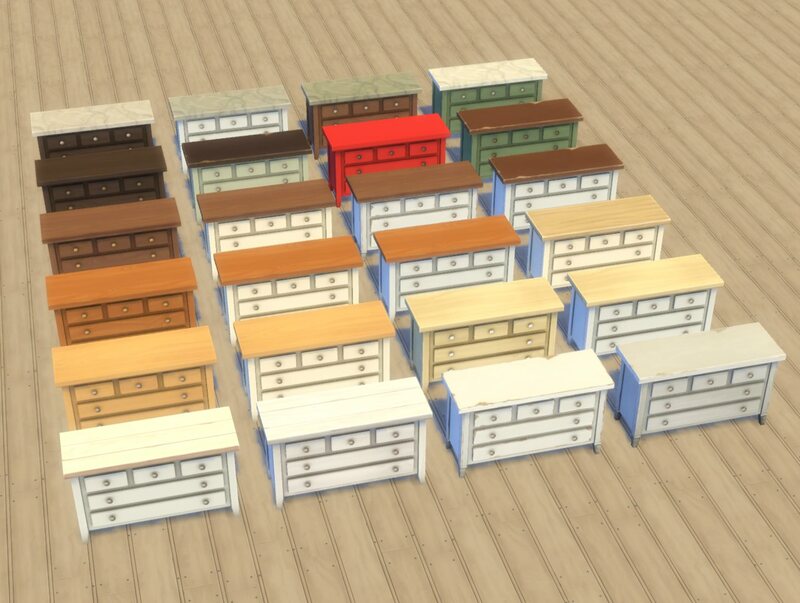 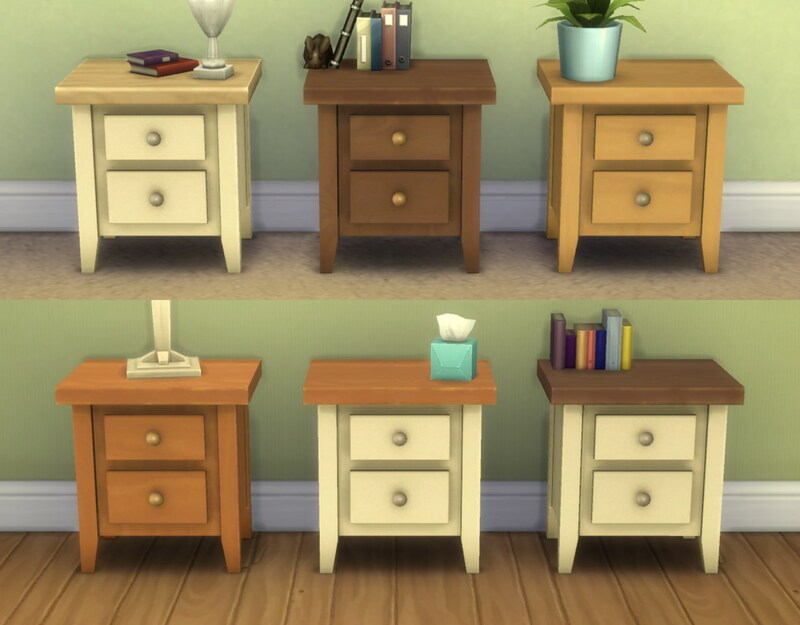 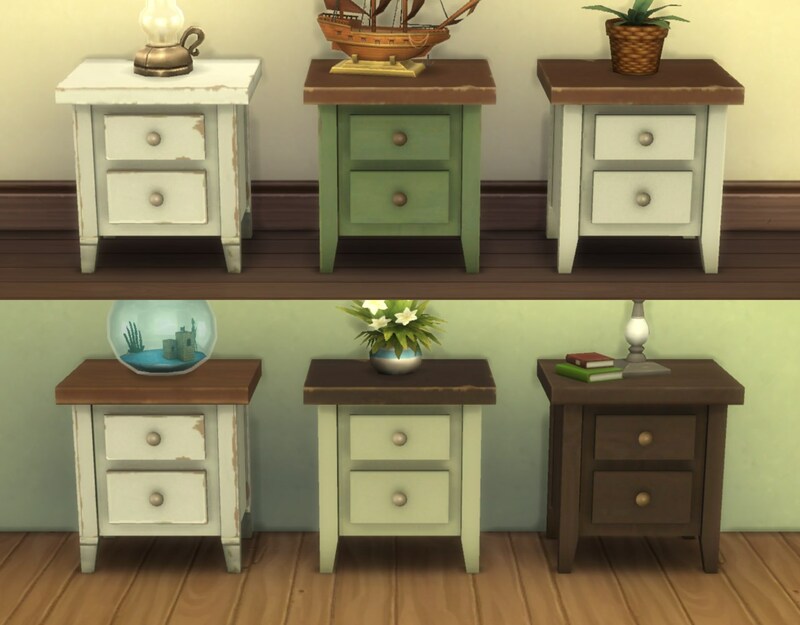 Available in Bedroom > End Tables or Surfaces > End Tables for 85§, same colours as the dresser (apparently I missed three of them when making the screenshots, but you can look at this picture to see all the colour options). 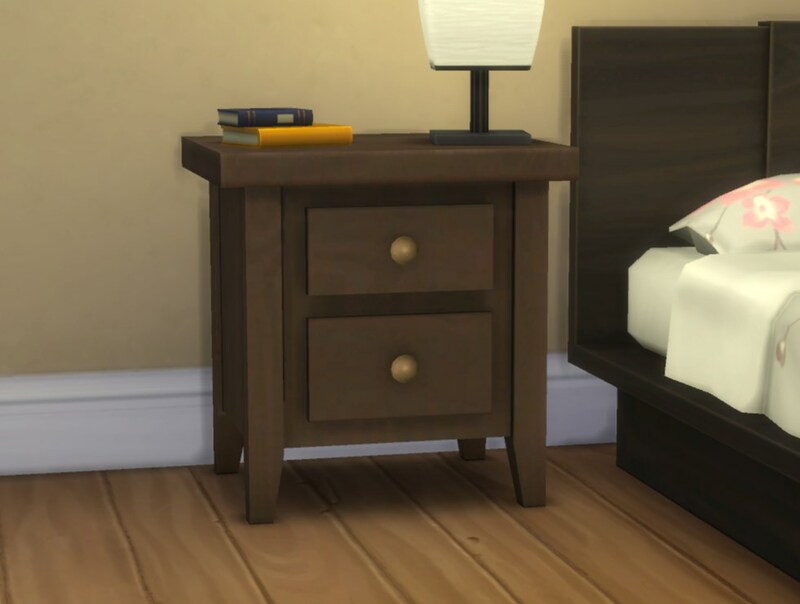 Slots, rig, and footprint are referenced from the Maxis “Weathered Wonder” nightstand (Base Game), so in case they introduce any updates regarding that, this should automagically update as well. 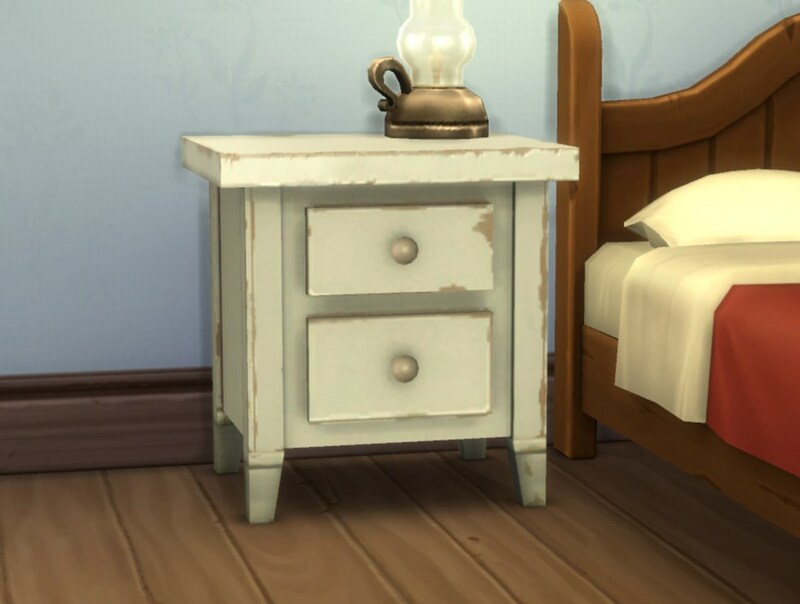 Again, the textures are referenced from the dresser so you need to download that or else this won’t work.